The Best SQL Podcasts from thousands of SQL Podcasts on the web using search and social metrics. Subscribe to these audio podcasts because they are actively working to educate, inspire, and empower their readers with frequent updates and high-quality episodes. SQL Podcast newsletter is a comprehensive summary of the day's most important audio podcasts episodes from the best podcasters on the web, and delivered to your email inbox each morning. To subscribe, simply provide us with your email address. About Podcast SQL Server Radio is a podcast for SQL Server DBAs, database developers, architects, system administrators and anyone else who is interested in the SQL Server platform. The show is intended to add another platform of knowledge sharing to the already strong SQL Server community. Facebook fans 105. Twitter followers 459. Richmond, VA About Podcast In this SQL Server podcast, Carlos L Chacon and guests discuss a variety of SQL Server related topics mixed with a sprinkling of professional development and want to introduce new and familiar topics and talk about them in a way you may have not considered. Facebook fans 558. Twitter followers 522. San Diego, CA About Podcast SQL Server Pain Relief : Office Hours is like listening in while patients bring their SQL Server pains to the emergency room and the doctors give their opinions. Join your host, performance tuning specialist Brent Ozar and his highly-qualified SQL Server Medical Team as they give you an inside look into some of the best solutions to your server problems. Tune in to get the best tips for performance tuning, virtualization, disaster recovery and much more. Facebook fans 1,689. Twitter followers 27,013. Portland, OR About Podcast Kendra Little answers burning questions from SQL Server Database Administrators and talks about her experiences as a DBA, consultant and trainer. Facebook fans n/a. Twitter followers 11,226. About Podcast SQL Server 101 podcast aims to get you from beginner level to that needed for the 70-461 certification and beyond. Learn the skills that you need to get your next dream job. The 70-461 certification, called Querying Microsoft SQL Server, is intended for SQL Server database administrators, system engineers and developers with two or more years of experience who are seeking to validate their skills and knowledge in writing queries. Denver About Podcast The Voice of the DBA is a moniker that Steve Jones has adopted for his writing and work with SQL Server. Facebook fans n/a. Twitter followers 7,582. Facebook fans 74. Twitter followers 210. About Podcast Free SQL Server technical training by the community, for the community. 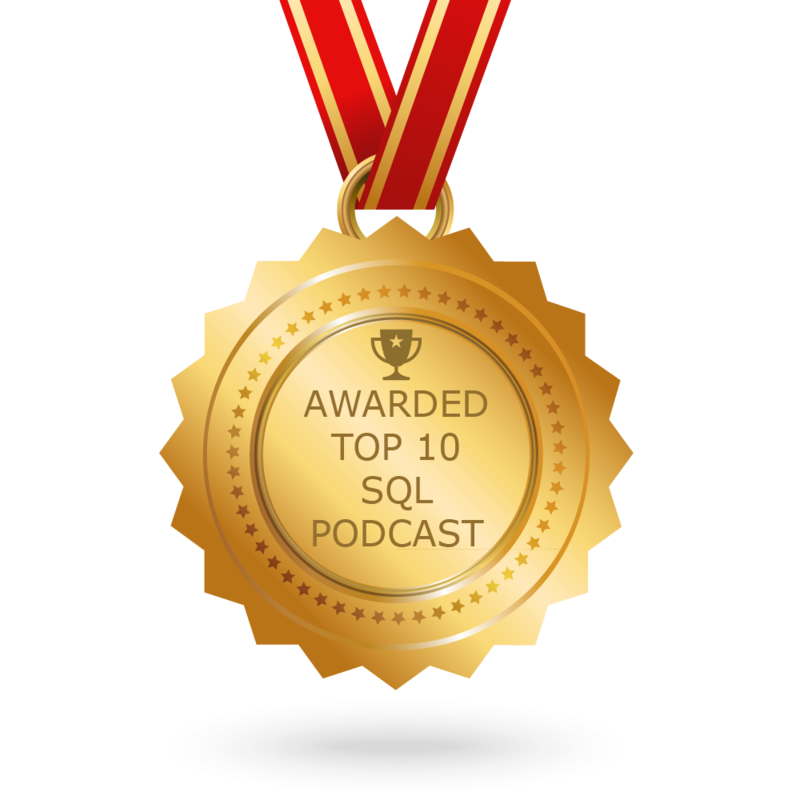 CONGRATULATIONS to every podcast that has made this Top SQL Podcasts list! This is the most comprehensive list of best SQL Podcasts on the internet and I’m honoured to have you as part of this! I personally give you a high-five and want to thank you for your contribution to this world.